Our safeguarding and child protection policy is below. Please note that it is compliant with 'Keeping Children Safe in Education September 2018' which is the DFE guidance. It also takes account of the 'Prevent' duty June 2015, which seeks to tackle anti- extremism. Our Designated Lead for safeguarding is Mrs Lafferty - Jenkins. Our deputy lead is Mrs Padfield. Mrs Bartlett and Mrs Jones are also fully trained. If you have any concerns about safeguarding please speak to a member of staff, who will help you. Don't delay if you have a concern. Share it with one of us. As a school we work in close partnership with the Family Partnership Zone, North Dorset. This team can provide advice, support and deliver workshops that offer strategies for many aspects of parenting. Donna Lane visits the school every term to offer drop in sessions for parents. There are Parenting groups that also run in the local area. Please speak to a member of staff if you would like help or advice. NSPCC This website contains some very useful information. We use their resources for lots of things, including training and support. Working in partnership with local agencies We work closely with local agencies and providers in order to keep children safe. 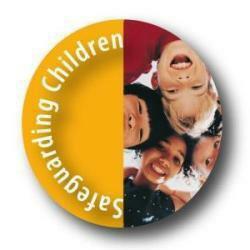 Click on the link above for more information from the Dorset Safeguarding Children Board. There are lots of questions you might have about safeguarding and the school. Please read the leaflet and speak to the Designated lead for Safeguarding for more information. Well Being and Mental Health We know that children and family mental health is very important. We work in partnership with many agencies to make sure that all children have access to the services which they need. In school, we use the mindfulness Jigsaw scheme for our Personal, Social and Health Education. We also support children through lunch time clubs (Oasis), Emotional literacy support (ELSA) and nurture groups. We can make referrals to the Children and young people's emotional health and wellbeing service (CAMHS). Please have a look at the link above for more information. We teach the children in school how to get the help they need. We have playground leaders and worry boxes too. The children have lessons using the Childline resources, NSPCC visitors and Life Education Van lessons.